Became a RP Repository journalist in this contest! 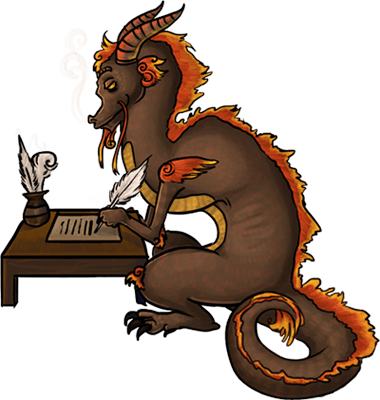 Choose a genre or style of RP that you have not personally done yet, or one that you don't personally enjoy or see the appeal of. Using interviews with other players on the RPR, learn about why people like that type of RP and what it takes to do it well. Report your findings in an article of 400 to 1200 words, as if you were a journalist. If you don't want to write an essay but you'd be willing to be interviewed, you're free to say so here as well! Grammar and spelling are important in this contest. Please proof read your entries before posting them! All winners will be featured in the RPR News. The article must be entirely your own work. HOWEVER, you may have friends proof-read your draft to help you catch spelling and grammar errors. Articles must be positive. Even if your research doesn't change your mind and you still don't personally see the appeal, report on why others do! You MUST interview a minimum of three other people on the RPR who engage in that kind of RP, and include a quote from each of those three in your article. If you do not have quotes from at least three other players, your article will not qualify. Give credit for all your quotations. Essay should be between 400 and 1200 words. Please keep your subject matter PG13 and in line with all of our site rules for public portions of the site. One entry per person. You may make edits to your entry until the deadline. Contest runs from April 24th until May 21st. After the contest closes a team of judges will score the articles and prizes will be handed out. Good luck to everyone! If we get enough entries, we may add more prizes. The last day to submit your essays is on May 21st. Where should we submit our entries to? Oh man, I love these essay contests. Time to start thinking on what I want to report on! That being said, I'm also willing to be interviewed. I myself tend to stick to adventurous types of roleplay, mainly medieval fantasy, steampunk and cyberpunk. if that's something you want to know about, hit me up! I don't have much interest in writing but if anyone wants to interview me, I'm willing! Bring pizza and wine . Don't think I'll have time to enter this, but if someone who does wants to interview me hit me up. I write any genre aside from romance. Not good at doing essays but I am up to be interviewed! I wish there was a story contest of any kind of story. I would've posted my story "The Run".... Wait, I didn't want to but if its for epicness... Sure! If it is possible! It is time to launch my career as a hard hitting Role Play Journalist. Not going to participate, but I'd be happy to help by being Interviewed! I’m new to this site, but not to RPing. I’d be glad to help participants by optimg to be interviewed. You can ask me regarding Dark Fantasy, Superhero comic RP, sci fi, space adventures or just fantasy. I'd write but I'm a bit late to the party so...I'm open to interviews!